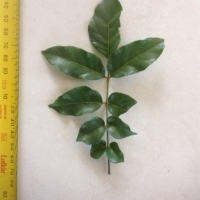 This close relative of the Mango is a native tropical rainforest tree. 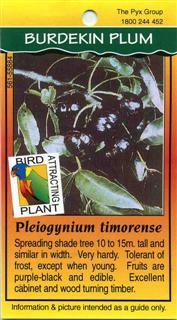 The deep purple fleshy plum-like fruits need to be held for some days to soften and mellow. Early settlers (probably taught by the Aborigines) were known to bury them in the ground which had the effect of softening them and increasing palatability. 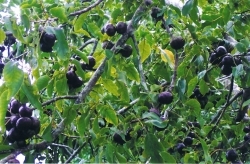 The fruit can be eaten raw, or used in wines, jams and jellies. 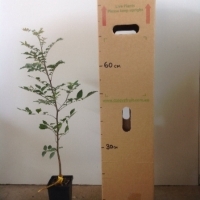 The burdekin plum is exceptionally hardy and can cope with long dry periods once it is established. It does however prefer free draining soil and lots of sunshine to perform well. 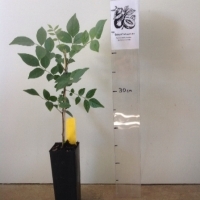 Trees are monoecious and will usually set on their own, however they will produce much better yields if they are plants in small clusters of 2-3 trees. 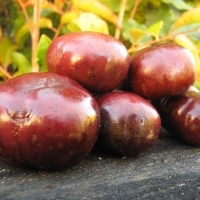 My Mum taught us to bury the purple Burdekin Plum fruits in damp sand until they became soft and sweet. 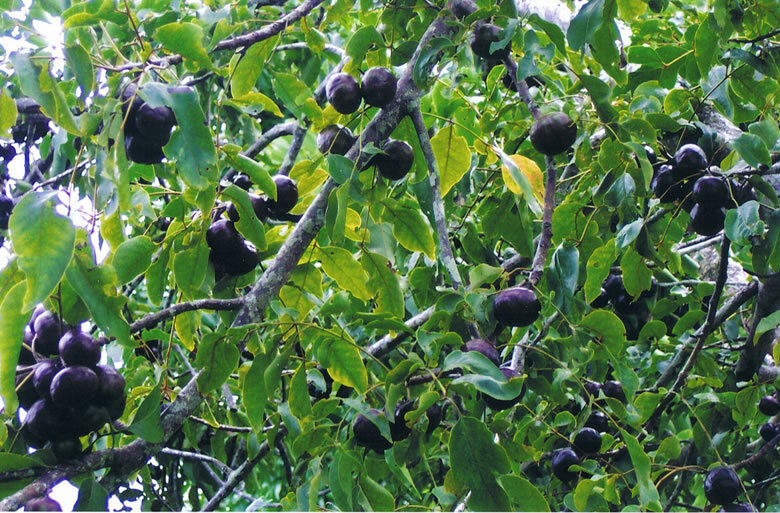 I think fruit flavour varied tree to tree but the sand trick turns them all into edible fruit within a few days. Makes great wine - like pink champagne. Comments: - Planted by previous owners. 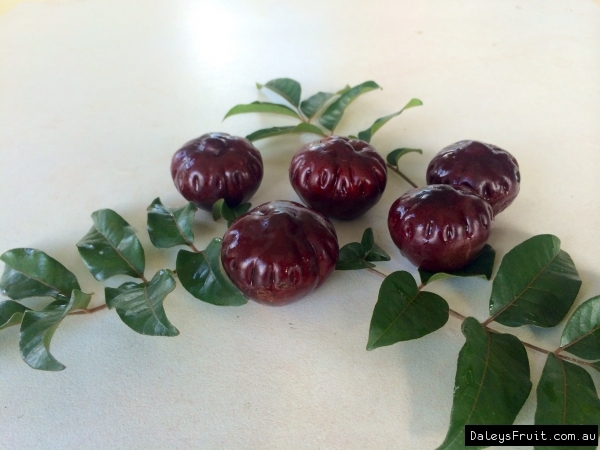 Fruit much less astringent once ripe, more flesh than quandong.